The Camino Portuguese (Caminho Portugués) begins in Lisbon, the capital city of Portugal, and extends north through the country for approximately 600km. It passes through the cities of Santarem, Coimbra, Porto and Barcelos before crossing the boarder into Spain and continuing on to Santiago de Compostela. The Portuguese Way dates back to the middle ages and, having been built on many of the old roman trade routes, is one of the oldest routes in Europe. Interestingly it has become the second most popular camino route, with only the French Way seeing a higher number of pilgrims every year. 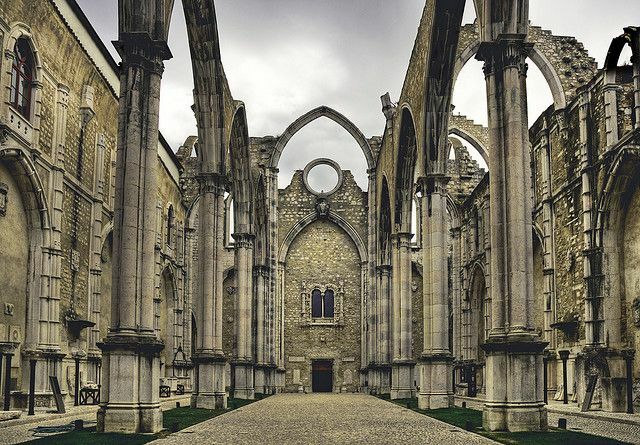 The Camino Portuguese has a long history which can be seen in many of the buildings and architecture along the way. The city of Porto and the University of Coimbra are great examples of this and are both listed as UNESCO World Heritage Sites. There are a few different route options along the Camino Portuguese offering different experiences for pilgrims. From Porto (where many pilgrims decide to begin their walk) there is the option to follow the inland route to Santiago or head towards the Atlantic and follow one of the coastal routes instead. For more information on these routes please see the stages section below. Just north of Lisbon, in the city of Santarem, pilgrims also have the option to take a detour and visit Fatima. Just like Santiago de Compostela, Fatima is an important site for many Christians (again please see the stages section below for more information). Portugal is a country that is a bit off the radar when it comes to the big tourist markets, but by walking the Camino Portuguese pilgrims get to experience the Portuguese culture and see the beautiful countryside in a very unique way. Plenty of accommodation is available along the route, but albergues (pilgrim hostels) are minimal from Lisbon to Porto. Although pilgrim facilities are increasing all the time and from Porto onwards there are plenty of albergues available on the main route. Some of the stages of the camino portuguese can be long (up to 30km or more) and can also involve a decent amount of walking on hard surfaces (although very rarely on busy roads). This is especially true for the stages between Lisbon and Porto and may be a contributing factor to why more pilgrims choose to start the pilgrimage in, or just north, of Porto. However, there are ways to break these long stages up, please see the resource section below for a free 6 page guide on how to do this. Usually either side of summer is a good time to walk, the spring months of April/May or the Autumn months of September/October generally provide the best weather for walking. Portugal is often hot and humid in the summer months and very busy with holiday makers heading to the Portuguese coast. It's also important to note that because Portugal sits on the Atlantic coast, the weather can change rapidly and you will need to take wet weather gear regardless of what time of year you choose to walk. The Camino Portuguese is a fairly flat route and is generally well marked all the way to Santiago. Some care does need to be taken with the stages between Lisbon and Porto though as signs are not seen as frequently and detours may also be in place (efforts are continually being made to upgrade this section of the camino). The total distance for the main route between Lisbon and Santiago is approximately 600km and takes around 4 to 5 weeks to walk. The stages are initially quite long out of Lisbon and involve a lot of walking on hard surfaces. Around 90km north of Lisbon pilgrims reach the city of Santarem. From here pilgrims have the opportunity to take a detour from the Camino Portuguese and visit Fatima by following the blue arrows from the city. It is approximately 60km to Fatima and the route rejoins the Camino Portuguese further north. Of course public transport is available to take to and from Fatima if you prefer that option. As previously mentioned, the majority of pilgrims walking the Camino Portuguese will actually start in the northern city of Porto instead of in Lisbon. The distance between Porto and Santiago is approximately 230km (depending on the exact routes walked) and takes about 2 weeks to finish. From Porto pilgrims have a few different route options to choose from. • The Central Way is the most common route to take from Porto. It is well marked, stays mostly inland and provides plenty of facilities for pilgrims. It crosses the boarder into Spain via the bridge between the towns of Valenca (Portugal) and Tui (Spain). • The Coastal Way (Caminho da Coasta) follows along the Portuguese and Galician coastlines. 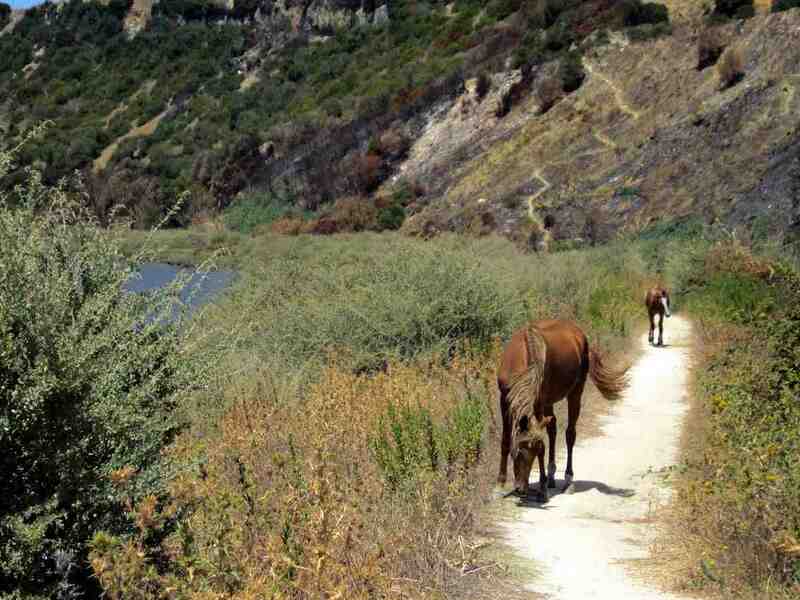 The route, although beautiful, is a lot quieter than the main inland route and there are less facilities available as well. At the town of Caminha pilgrims can take a ferry across the boarder into A Guerada, Spain. Alternatively pilgrims can walk an extra day, instead of taking the ferry, and connect with the Central Way at Valenca and cross into Spain from there. The Coastal and Central Way rejoin each other in Redondela, although there are several other options to connect each route if you would like to experience a bit of both (please see the resource section below). 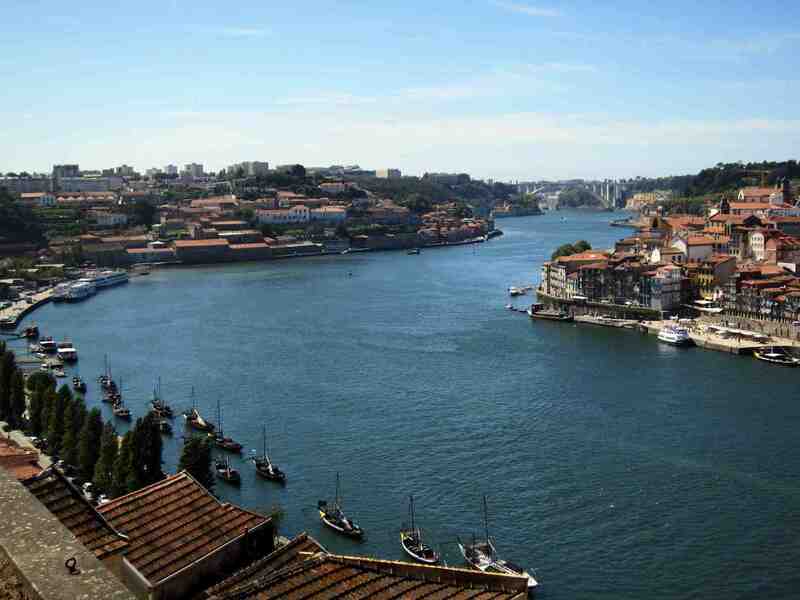 • There are also a couple of other routes from Porto that are even less traveled. The alternative coastal route, often called the Litoral (Senda da Orla Litoral) sticks very closely to the coastline and joins up with the main Coastal Way several times. The Caminho de Braga goes the opposite way, heading even further inland to the city of Braga before rejoining the main inland route in Ponte de Lima. • This Porto to Redondela map (from the Caminador website) shows the different route options available from Porto. The Central Way (in blue), The Coastal Way (in red), The Litoral (in green along the coast), and the Caminho de Braga (in purple). • The Bombeiros (firemen) in some Portuguese towns have a room for pilgrims to sleep in. The room usually just involves a place on the floor or a mattress and somewhere to shower. Please note that they are not required to host pilgrims and it might not always be possible to stay. You can read more about this here. • When you cross from Portugal into Spain don't forget to adjust your watch! Portugal is on Western European Time (WET) while Spain is on Central European Time (CET). • Thanks to Via Lusitana there is a 24 hour S.O.S help line for pilgrims who are walking the Camino Portuguese and find themselves needing assistance. The number is (+351) 915 595 213. • Taking a guidebook is recommended for this route. • Although not necessary, as quite a few Portuguese people speak English, you may like to learn some basic Portuguese by using Duolingo or Livemocha (both are free to use) and consider taking a small and lightweight Portuguese words and phrases book or even an app for your phone. • A FREE 6 page guide, for shortening some of the long stages between Lisbon and Porto, is available to download from the camino forums thanks to Laurie, Lisbon to Porto: Shorter Walking Stages Guide. • A Pilgrim's Guide to the Camino Portuguese is a comprehensive, light weight, and up to date guidebook by John Brierley covering the route from Lisbon to Porto and Porto to Santiago as well as a few of the detours available along the way. • Also by John Brierley is a lightweight book (or "slim edition") of the guidebook above. It provides just the maps of the cities and towns, route directions and where to find accommodation. The book can be found here, and an electronic edition (for the Kindle) can be found here. • The FREE 2014 Camino Portugués PDF guidebooks can be found here. One is for the Lisbon to Porto section and includes ideas on how to break up some of the longer days. The other guidebook is for the Porto to Santiago stages. • Click here to go to the Camino Portuguese section of the Camino Forums. 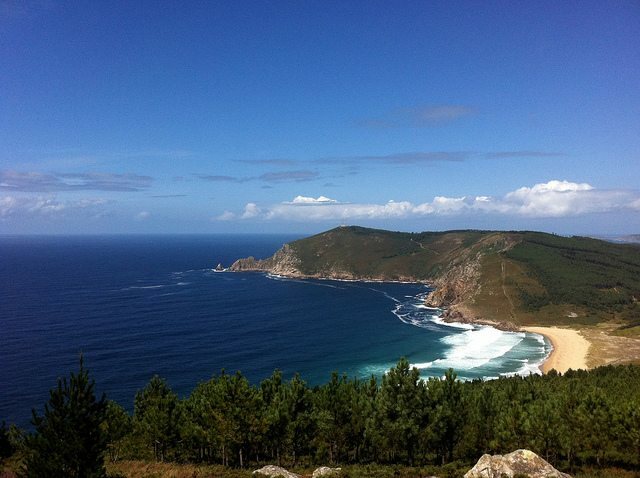 • Click here to go to the Camino Portuguese Coastal section of the Camino Forums. 10 useful and lightweight items to take on your Camino de Santiago pilgrimage that you may not have considered. 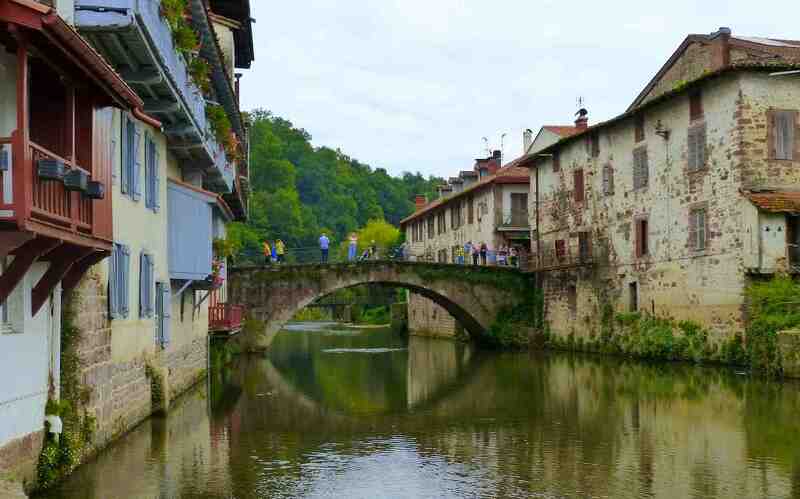 Should you walk the Camino Frances? Details, information and advice about the most popular of the Camino routes. Just beginning to plan your camino? Not sure where to begin? This guide is for you. Information, advice and resources for walking the Camino Portuguese.